Rosé Wine by Tuck Beckstoffer from California. 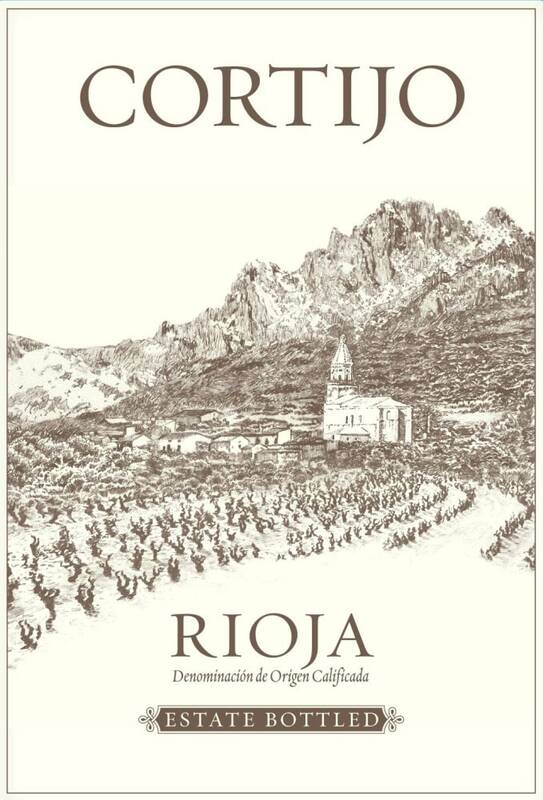 Red Wine by Cortijo from Rioja, Spain. Raspberry, candied cherry and white pepper aromas show good energy and a hint of smokiness. Slightly jammy on the palate, offering an array of red and dark berry flavors that become spicier with air. Finishes juicy and tight, with subtle tannins and a touch of licorice. 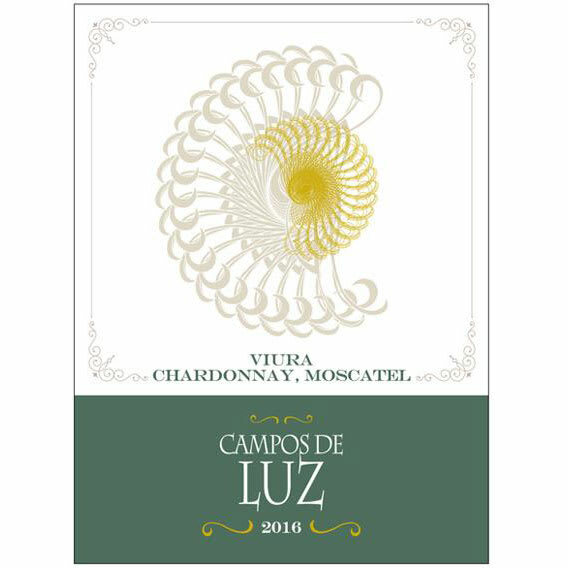 The fresh, pure character of this wine makes this an extremely versatile wine to pair with food. 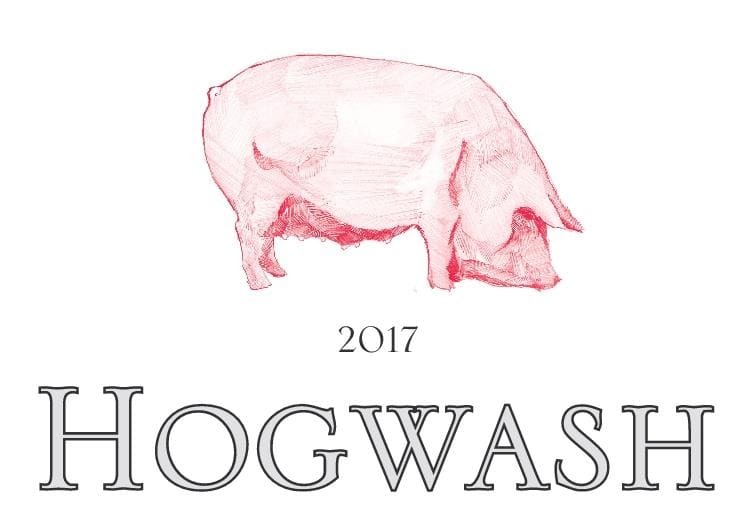 This wine pairs well with white meats like pork and chicken and flaky fish like hake, cod or flounder. This has the fruit and acidity to match with red meats, as well. 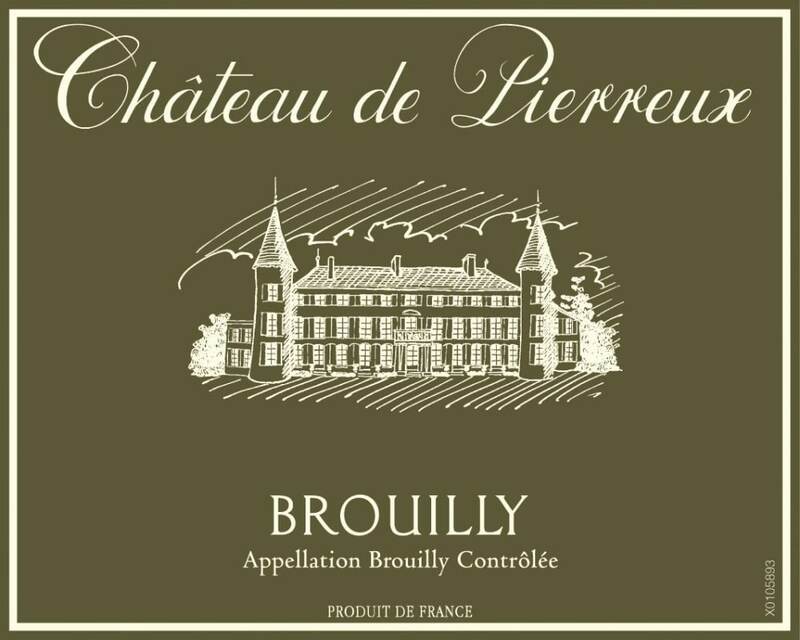 Red Wine by Chateau de Pierreux from Beaujolais, France - regions. The vineyards of the Beaujolais region are very hilly. They are delimited on one side bythe foothills of France's Massif Central mountain range and overlook the Saone River's flood plain between Macon and Lyon. Nestled at the foot of Mont Brouilly, Chateau de Pierreux is one of the most beautiful residences in the Beaujolais region. Several centuries of history have shaped this ancient 13th-century fortified house of which two towers still stand today. The castle was renovated several times over the centuries. Its vaulted cellars date back to the 17th century while the current building was erected in the 19th century. *Free Ground Shipping or $10 Off Expedited Shipping Savings will be reflected on the shipping calendar during checkout process When we began over a decade ago, we vowed to create quality gifts full of only the best gourmet ingredients. Today, we hold true to our traditions, with exquisite arrangements just like this one! 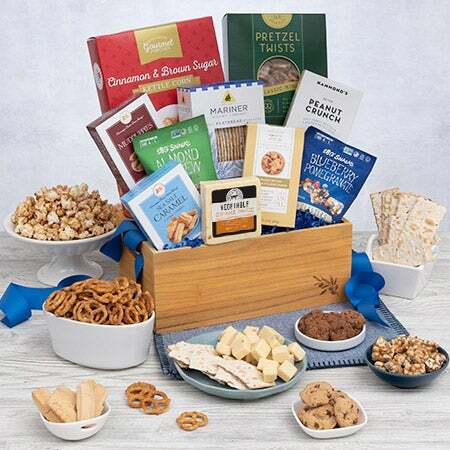 In a gorgeous basket, our experts have gathered together some of the most iconic award-winning snacks, like rich hazelnut wafer rolls, zesty cheese, and golden pretzel twists, creating the perfect gift for anyone at any time.